I gotta give old boy credit. The Viagra pills must really be helping. NY Post reports Rep. John Conyers will step aside as the top Democrat on the House Judiciary Committee pending an investigation into allegations he ​sexually harassed staffers. 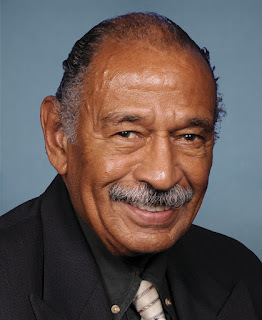 In a statement released through ​Democratic Minority ​Leader Nancy Pelosi’s office on Sunday, Conyers said he realized that he may “undermine” the committee’s work if he stays at the helm. “I have come to believe that my presence as Ranking Member on the Committee would not serve these efforts while the Ethics Committee investigation is pending,” the 88-year-old Detroit politician said in the statement.